Lower back pain is one of the most common pain conditions in the U.S., affecting 28 percent of the population in a three-month period, according to data from the Centers for Disease Control. Those with a chronic aching back will do practically anything to feel better, including massage, chiropractic therapy, surgery, acupuncture, and, of course, painkillers. But a new study has found that men with back pain who aren’t particularly careful when taking opioids could experience an unwanted side effect in the bedroom. 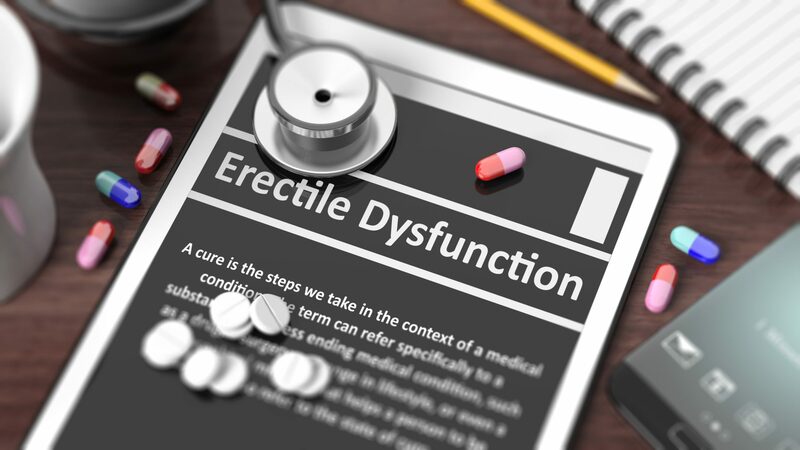 Researchers led by Richard A. Deyo, M.D., an investigator with the Kaiser Permanente Center for Health Research and professor of evidence-based family medicine at Oregon Health and Science University, studied more than 11,000 men with back pain who had received medications for either erectile dysfunction (ED) or testosterone replacement. The researchers compared the medical records of these men and found that those who had taken high doses of opioids for long periods were more likely to have also taken drugs for ED or used testosterone replacement than men who hadn’t taken the prescription painkillers. In specific, men who took a daily dose of 120 milligrams or more of morphine equivalents (considered a high dose) “had greater use of medication for [ED] or testosterone replacement,” the researchers wrote in the May 15 issue of the journal Spine. Opioid painkillers include oxycodone (OxyContin, Percocet), codeine, and morphine. The study also found that regular use of sedative-hypnotics such as benzodiazepines was associated with ED. Dr. Deyo noted that this doesn’t mean that pain meds cause ED but that doctors and patients should be aware of this finding when deciding how to treat back pain in men. ED is common and can be linked to diabetes, high blood pressure, depression, and some medications (especially beta blockers to lower blood pressure) and recreational drugs, according to the U.S. National Library of Medicine. Abuse of prescription opioids is rampant, according to recent statistics. The CDC reported in March that the number of drug overdose deaths involving an opioid painkiller had more than quadrupled between 1999 and 2010, to 16,651. Do you have back pain? Do you take opioids to ease the pain? Have you experienced side effects from the drugs?